Energy 2050 is one of the UK’s largest energy research institutes. 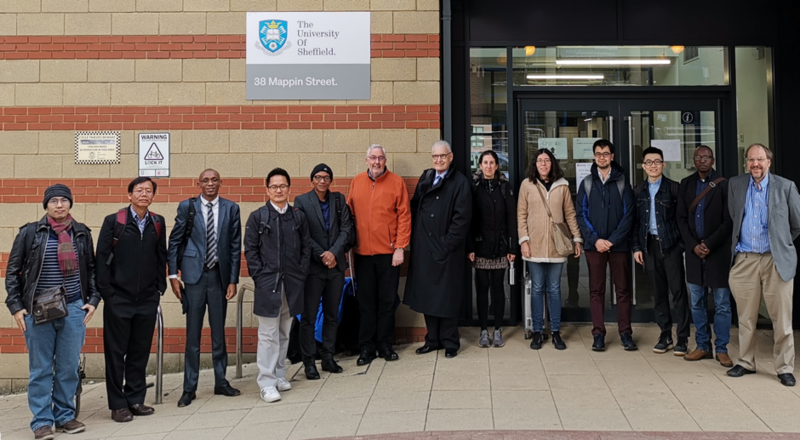 Based at the University of Sheffield, it has over 120 academics and more than 250 PhD students undertaking energy research and innovation. At Energy2050 we are looking at different ways to make and use energy. Our research covers Energy generation, use & demand, infrastructure & integration and Energy policy. Energy2050 is one of the UK’s largest energy research institutes. Based at the University of Sheffield, we have over 120 academics and more than 250 PhD students undertaking energy research and innovation. Energy2050 is an opportunity to collaborate with world leading academics across the energy research spectrum. We are dedicated to turning innovation into working solutions. Energy 2050 is committed to developing world-leading activity in energy research and we host a vibrant international community of more than 250 students undertaking energy PhDs. This PhD project will look at possible strategies to develop a new generation of digesters, which can perform a faster and more compact conversion of biowastes. Applications are invited for a competitive fully-funded PhD Studentship starting in 2018. The studentship will support a highly motivated researcher to undertake cutting-edge research on power generation in rural communities. Applications are invited for a competitive fully-funded PhD Studentship starting 2018. The exact topic of the research will be tailored to the strengths of the candidate and the relevance to ongoing research within the Energy Engineering group. This project aims to combine computational fluid dynamics simulations; chemical process modelling and virtual reality techniques and develop a virtual reality energy system simulation tool for future zero mission power generation system.